Photoshoot: Gelisa Lewis of Think.Write.Heal! I had the privelage to be behind the camera for my sis Gelisa Lewis, for promotional images for her site ThinkWriteHeal.com! Check out the pictures from the shoot below and support her work with Think.Write.Heal, a site for contemplative healing through writing! Check out recent design work for Morehouse College's Student Government Association. The Midterm Report was designed in Adobe InDesign Creative Cloud (February 2018). Check out my feature on Minding My BLACK Business @mindingmyblackbiz #Podcast! 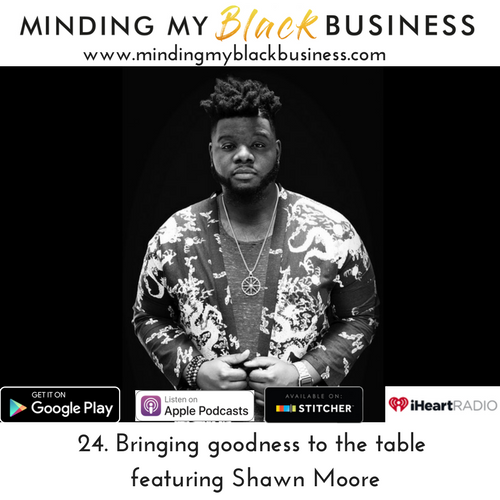 Check out my feature on Minding My BLACK Business Podcast! Are you clear about your identity as an entrepreneur? Is your vision for your business solid? As Entrepreneurs it is vital to the success of our businesses to have a strong voice and position when presenting our services and goods to the world. Listen as I converse with the lovely Dr. JaNae' Taylor of the Minding My BLACK Business Podcast as I share my journey and provide wisdom on how to take our Black Business to the next level. As a part of my personal yearly intentions, I am dedicated to reading 1 book and 1 graphic novel/comic volume per month. To create a sense of balance to the heavy academic reading that accompanies my PhD program, I am making this promise to myself by creating time and space to personal reading. I want to restore my love for reading. I think I forgot how fulfilling it is! I will give my thoughts at the end of the month when I complete both!